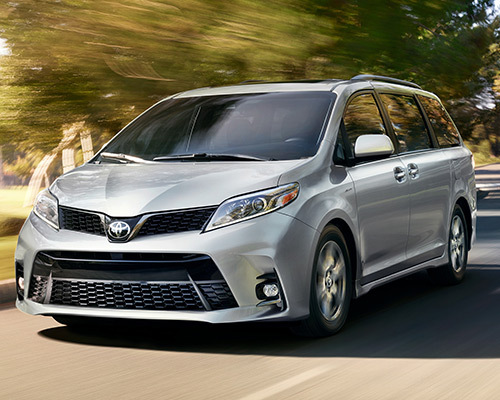 Parents currently raising several youngsters or just one child and thinking about siblings will find the added space, accessibilities, and everyday luxuries they need to make dealing with their hectic routine less complicated within the most recent Toyota Sienna. Both grownups and kids will genuinely like traveling in this innovative minivan, because it blends together the automobile inclinations of both sides. Devoting a few seconds to learn about how purchasing or leasing the Sienna at Westbury Toyota immensely elevates your drives is well worth your time. Sienna will have you cruising about the Westbury NY area in eye-catching fashion with daring upper and lower grille openings, side rocker panels, and iconic front fascia. Its beautiful design also outshines other class competitors and remains visible via projector-beam halogen headlights and an elongated fog light configuration. Sienna backs up its unexpected attitude with the power needed to keep your day-to-day commute moving ahead at maximum velocity. A 3.5-liter (L) V6 DOHC direct-injection engine supplying 296 horsepower (hp), Direct Shift-8AT (eight-speed automatic transmission), and air-fin stabilizers all come together to deliver abundant performance and enhanced gas efficiency. Plus, sensitive maneuvering is increased with the firm body aerodynamically fine-tuned. When the weather ends up being downright grim in Westbury, Toyota Sienna ensures your trips continue on by featuring upgradeable all-wheel drive (AWD). This leading-edge setup implements multiple sensors to interpret data and deliver ideal levels of torque to the right tires for improved grip. Due to this fact, you can fret less about wheel instability and sustaining a powerful hold in various types of circumstances. The LE is focused on supplying you with control through an eight-mode power-adjustable driver’s chair, sunshades located in the second and third rows, and dual power sliding doors. In addition to this, incorporated roof rails in black allow you to strap down and transport big equipment on top of Sienna to open up additional interior space. 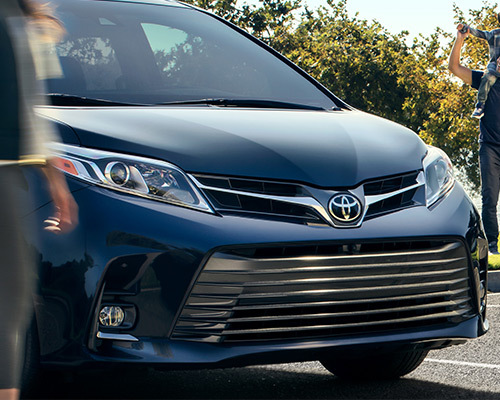 Sienna SE propels your minivan skills to a new echelon with a sport-driven mesh front grille, 19-inch (in.) six-spoke alloy wheels with gunmetal coating, and door latches trimmed in chrome. Racing-tuned suspension and sport-calibrated Electric Power Steering make handling each corner quite thrilling, too. Luxuriousness abounds in the cabin of Sienna Limited, including a warmed steering wheel, second-row captain’s chairs trimmed in leather, high-quality sound system, and a dual moonroof you control electronically. It delivers a five-star resort atmosphere that is all yours as you are traveling on the highways of Westbury. 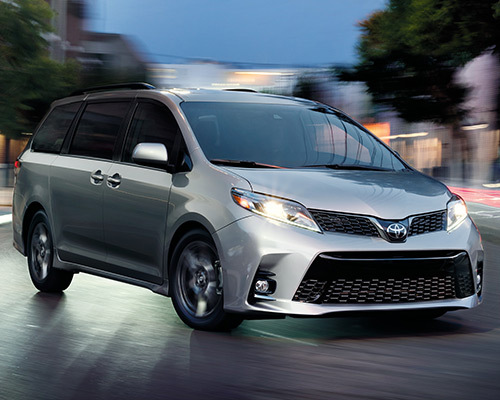 The latest iteration of Toyota Sienna has turned the typical minivan approach into the coolest mobile family room possible. A max of eight can sit in comfort, no matter the seat, and additional space is yours as soon as you fold the Split & Stow Back Row seat away in a storage cavity. The second row of seats also lean up and dip forward to make loading up riders and items more convenient. Sienna offers an innovative fix for people who have a harder time entering and exiting minivans. LE and XLE models are available with the revolutionary Auto Access Seat that power turns 90 degrees, extends out, and drops to a height that simplifies entering and exiting the minivan. Toyota manages the installation of this clever chair, so that Sienna’s interior always matches. Designed for anything from cross-country trips to date night for mom and dad, Sienna comes geared up with an Entune 3.0 seven-in. touchscreen infotainment display and App Suite to keep you online no matter where you explore. Some other technology features you may opt for are a Dual-View Entertainment Center (Blu-Ray compatible), Driver Easy Speak button that allows passengers in the rear to listen to your voice, and Wi-Fi Connect for as many as five phones and tablets. Sienna has your technological needs covered, from smartphone app access and playing videos to displaying turn-by-turn navigation. 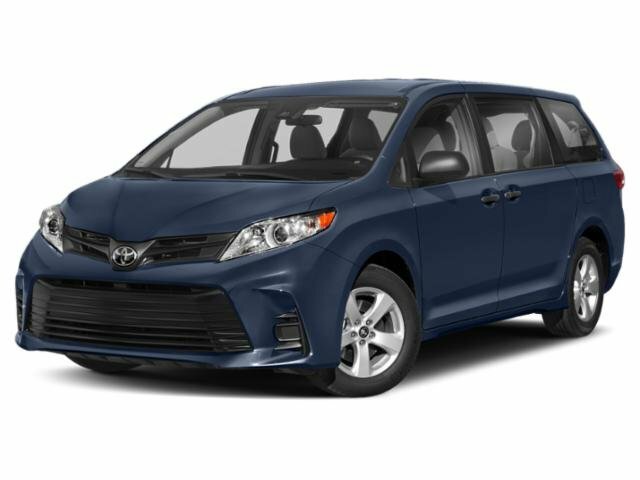 Serving as the only minivan in America with optional AWD, Toyota Sienna thoroughly blends flexibility, practicality, and roominess for shoppers in Westbury NY hoping to own or lease a bigger minivan. Bring your team everywhere when you stop by Westbury Toyota to buy or lease the Sienna iteration you fancy.